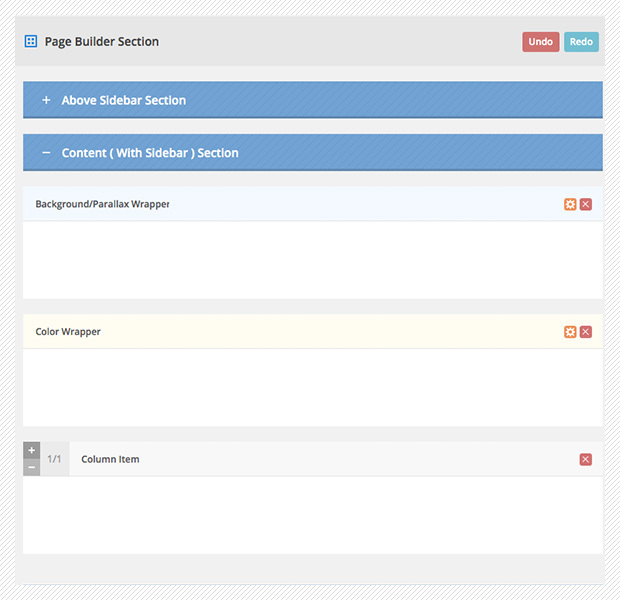 You can have full width parallax or specific color section easily with page builder. This feature allow you to have stunning parallax scroll image and you can also have many custom value such as parallax multiplier to make it slower or faster. You can also assign custom skin that is created in admin panel to parallax/color section too.